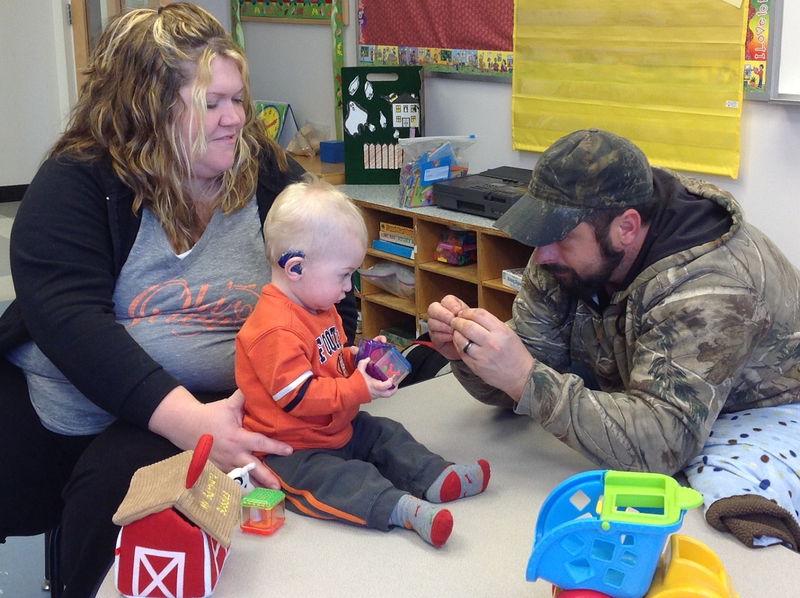 Monthly, young children (0-5) and their families are Deaf/Hard-of-Hearing (D/HH) are invited to participate in collaborative sessions with teachers and professionals, supporting communication and social learning. Siblings are welcomed to American Sign Language sessions, while parents and guardians engage in discussion, demonstration, and practice. Often, families leave with new books, toys, and tools for engaging their child.